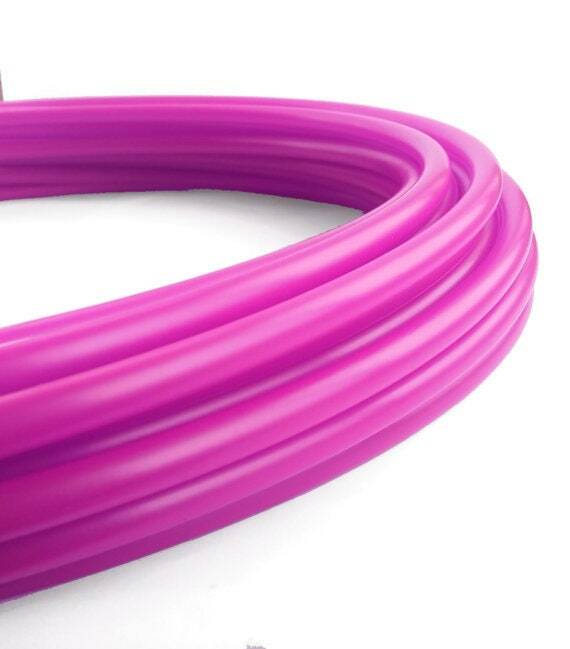 Polypro Hula Hoop 11/16" Translucent UV Fuchsia // Collapsible for Travel- Push Pin Connection-Sizes 22"-38"
This listing includes one polypro 11/16” UV Reactive Fuchsia hula hoop. my hoop is so beautiful. thank you! The tubing size and sanding was just what I needed to learn some on-body moves! And the color POPS! Absolutely beautiful hoop, thank you!